Delicious, thick and light Roasted Tomato and Garlic Focaccia, flavoured and topped with garlic, herbs, olive oil and roasted tomatoes. Believe it or not, even after I made 5 batches of Roasted Tomato Marinara, I still had a few roma tomatoes left. So I roasted them off whole and used them to make this delicious Roasted Tomato and Garlic Focaccia. It’s really easy to roast off roma tomatoes whole. Simply toss with a little olive oil, season with salt and pepper, cut a slit in each one (so they don’t explode :) and roast in a hot oven for about an hour. Transfer to a bag and refrigerate or freeze. Use them just as you would canned whole tomatoes. 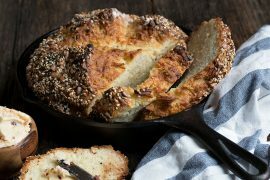 Serve this focaccia with a bit of olive oil/balsamic for dipping and enjoy as a snack, with a salad or in place of garlic bread with your pasta. Freezes well, so don’t worry about left-overs going to waste. You can either roast some whole roma tomatoes for this (instructions in recipe below) or use canned, whole tomatoes, drained of all juice. 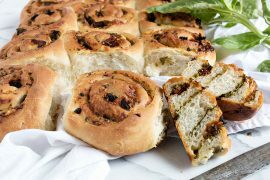 While I am usually one to use fresh garlic, I’ve found that powdered garlic works best in breads like this, as the fresh garlic tends to burn on top of the bread and well, burnt garlic is not a pleasant flavour. 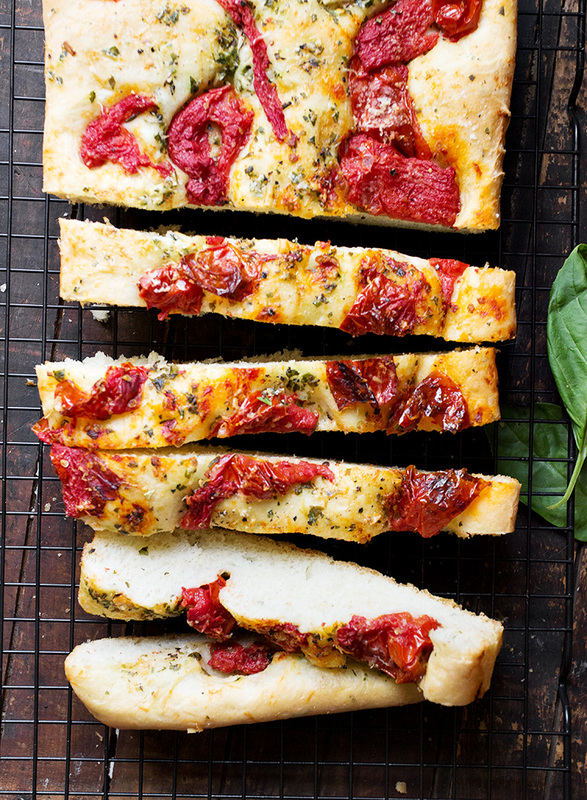 Delicious focaccia bread, flavoured and topped with garlic and herbs and roasted roma tomatoes. Freezes well. *To Roast Roma Tomatoes: Preheat oven to 425 F. Toss roma tomatoes in a large roasting pan. 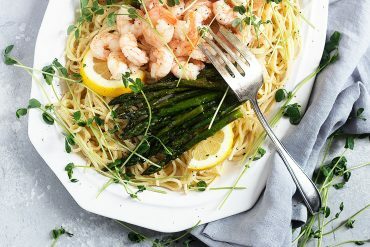 Drizzle with a bit of olive oil and season with salt and pepper. Toss to coat. Cut a small slit in the top of each tomato. Roast in preheated oven for about 1 hour. Cool, then transfer to a bowl or bag and refrigerate or freeze for later. To make the focaccia dough: In a large bowl of the bowl of a stand mixer, combine the yeast with the warm water and sugar. Allow to stand for 5 minutes. Add olive oil, salt, garlic powder and 2 cups of the flour. Mix to combine. Start adding additional flour, in small increments, until you have a smooth, moist dough. Transfer dough to a floured work surface. Shape in to a ball, cover with a clean tea towel and let stand 20 minutes. Prepare the Herb Oil: Combine all the Herb Oil ingredients in a small bowl and stir to combine. Set aside. Once focaccia dough has rested, grease a 7x11-inch pan (or 8 or 9-inch round cake pagenerously with olive oil. 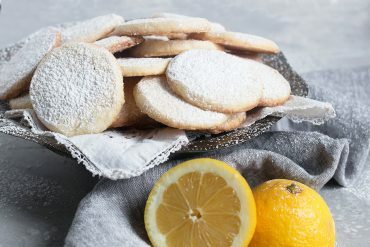 Roll out the dough in to the exact size of your pan (using a bit of flour if sticky), then transfer to your prepared pan, pressing it right out to the edges of the pan with your finger-tips. Spread herb oil evenly over-top and refrigerate dough, uncovered for 3 hours. After 3 hours, remove focaccia from refrigerator. 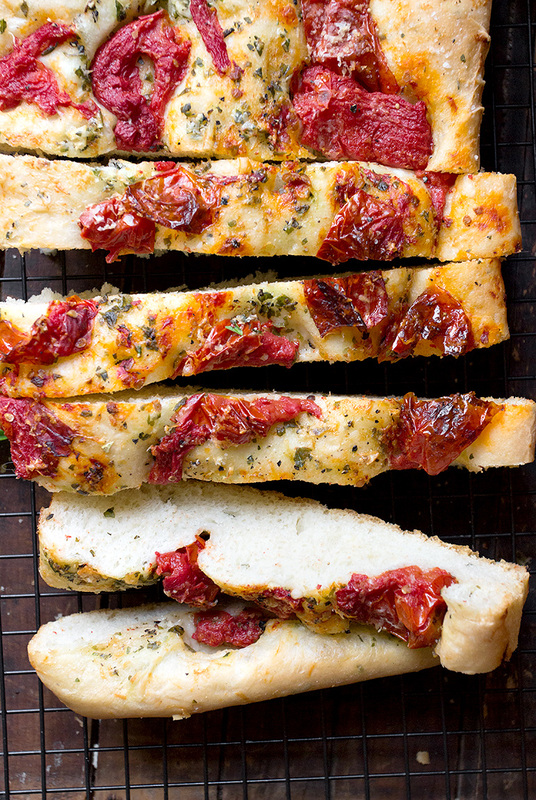 Drain any liquid from the tomatoes and hand-crush them over-top of your focaccia, keeping them quite chunky. Top with some grated parmesan cheese. Preheat oven to 325 F. Cover focaccia loosely with greased plastic wrap and set pan on top of preheating oven to rise for 30-40 minutes, or until dough has risen slightly above the sides of the pan. Bake in 325 F. oven until golden brown, about 30 minutes. 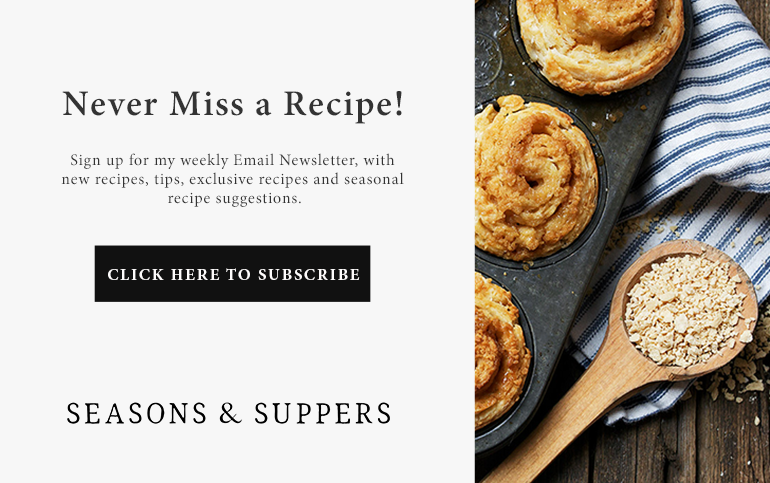 Cut into square, wedges or slices and enjoy as is or serve with an olive oil/balsamic dip. Freezes well. 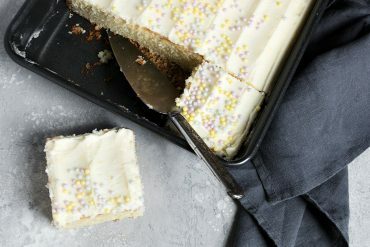 Instead of leaving it in the fridge for 3 hours, can I leave it overnight and bake the next day? Focaccia bread is seriously one of my weaknesses. Whenever it’s around I have to do some serious self restraint from not eating the entire loaf in .012 seconds. It’s just SO GOOD! And this one looks amazing, Jennifer! LOVE the roasted tomatoes with garlic. 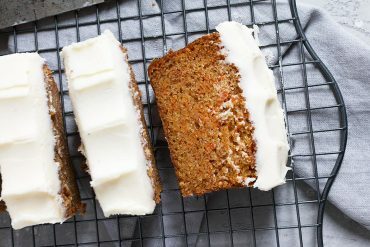 Super simple, Hella delicious! I’ll take 7 loaves. ;) Cheers! What a stunning focaccia! I could easily turn this into a meal along with a good salad :). Thanks Laura and me, too! Oh my!! 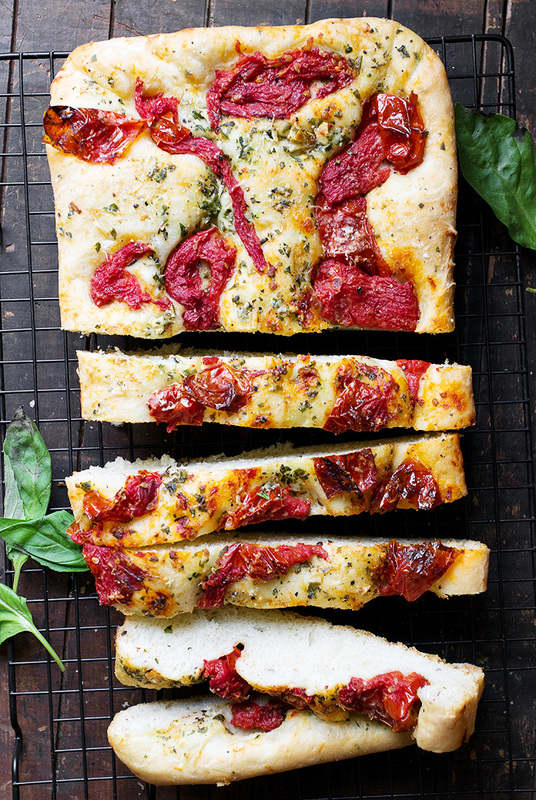 This is pretty much pizza foccacia…but so much better!! LOVE those tomatoes! What a terrific treat with those roasted tomatoes. I adore bread and wish I could eat it at every meal. This focaccia looks wonderful. Pinning! Thanks Tricia and I so enjoyed the whole roasted tomatoes. Never really thought of doing them that way, but they’re just like canned tomatoes and so useful! 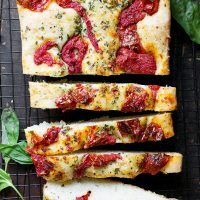 I love all your bread recipes, Jennifer, but I have a special place in my heart for foccacia, it was the very first bread I learned to make and I love how easy it is…those tomatoes are gorgeous! Thanks Sue. 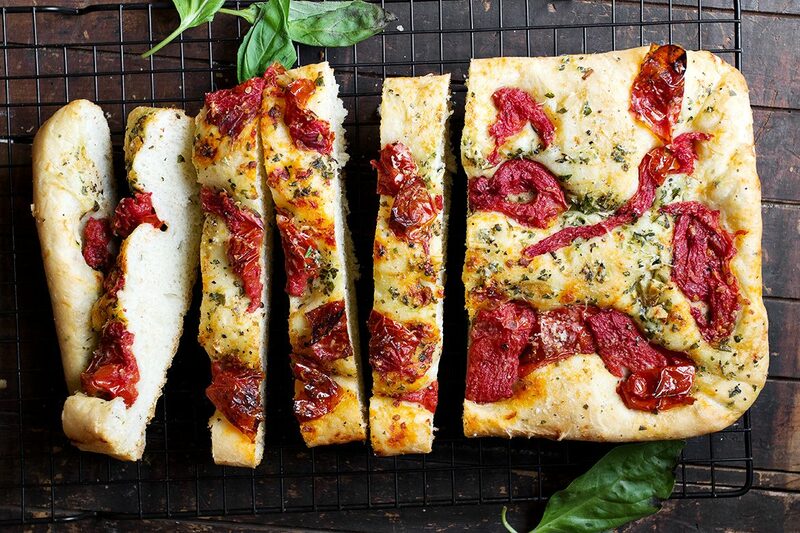 I love focaccia too, especially with all the different toppings you can put on them! 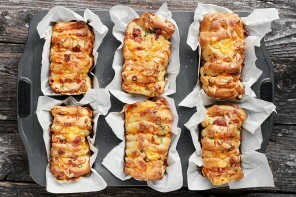 Focaccia has been on my bucket list for quite a while Jennifer! I’m not very talented at baking yeast breads, but this looks so delicious, I think I’ll have to challenge myself! Love the roasted tomatoes are garlic topping! Thanks so much, Mary Ann :) I think focaccia is a great challenge. 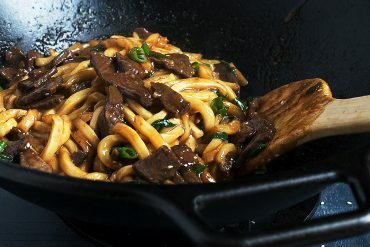 It only uses a little yeast and uses a slow rise (refrigerated), so it doesn’t need a lot of help to do it’s thing!